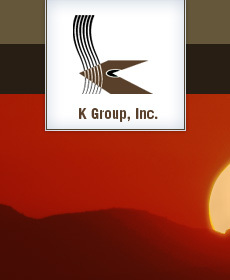 K Group has been with us from the beginning in 1998. Lisa Shover assisted the Nina Mason Pulliam Charitable Trust in formulating its community identity and creating the community relations plan as the Trust began its grantmaking activities. Since that time, she has become an integral and integrated part of the Trust management team. Lisa has a passion for the nonprofit community, knowledge of the inter-workings of the nonprofit segment, and understands how a foundation should interact with its grantees and the community it serves. We chose to work with the K Group to assist us in securing funding of $68 million for a new youth center and an endowment to maintain the center’s programming because of their extensive knowledge of our community, their reputation for positive results, and their high level of integrity. Most importantly, the K Group really demonstrated they had a heart for our mission. I've had the opportunity to work with Lisa Shover and the K Group for more than 13 years on a variety of non-profit issues -- from strategic planning to capital campaigns, from needs assessments to events. K Group has the unique and very rare ability to take things from conception to implementation. Lisa has an incredible knowledge of the community and the ability to connect with the social, civic and philanthropic leaders who play such a critical role in the nonprofit world. She is innovative and creative and tailors her approach to fit the specific needs of the agencies or issues she's involved with. Bottom line is she delivers. K Group’s practice leader for Advancing Charities and Foundations, Lisa Shover, is a visionary. In 1988 we were losing the city-supported facility due to a new roadway. Lisa created the strategic and fundraising plan to build a new location for a domestic violence safe house in Scottsdale. We opened the Scottsdale Chrysalis Shelter debt free in 1991. The Scottsdale Chrysalis Shelter was the first domestic violence facility in the country built from the ground up to serve the specific needs of women and children fleeing an abusive situation. We became the model for communities around the country. Without Lisa we would never have reached beyond the boundaries of our traditional thinking and created this incredible facility that has since helped more than 1,500 women and their families. Humanity-Valley of the Sun to new levels -- becoming one of the most successful affiliates in the U.S.
• Her leadership with the Arizona Humane Society also drove it to become a national leader. She led a $14 million capital campaign to completion in 2 years.